Proactively prevent crime, deter vandalism and protect 1,000 students and 180 faculty at three elementary school campuses. 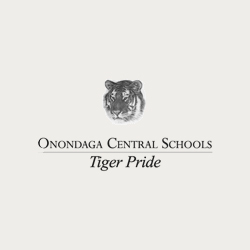 Nestled in a valley with rural surroundings, the Onondaga Central School District is located in upstate New York. Despite its tranquil and picturesque environment, there was growing concern for the safety of the school districts children, teachers and staff while on school grounds. The alarming increase of violence on school campuses prompted the Onondaga Central School District to develop and implement a prevention-oriented security strategy for their three elementary schools. With no pre-existing security or video surveillance systems, the strategic planning goal was to deploy a security solution that was easy to install and manage across multiple sites, would not require additional staff, and be scaleable and affordable. Onondaga Superintendent Joseph Rotella successfully secured a grant through the Office of Community Oriented Policing Services (COPS) that covered 50 percent of the total investment of implementing a security system across the three schools.Robert Sauro, the district’s Director of Technology, recalls, “When we obtained the grant, we decided to purchase a video surveillance system for the three schools. Our challenge was to find the best cameras for us. We wanted to be proactively alerted to potential threats before they happened, yet didn’t want a complex system that required specialists to implement and maintain. We needed something that worked with our existing network infrastructure but would not be a burden for our small IT staff. After evaluating a number of video surveillance solutions, the Onondaga Central School District ultimately chose a single solution built around 24 VideoIQ ICVR cameras fully integrated with intelligent video analytics, edge storage and and an integrated video management system. The HD cameras analyze and track scene movements using patented, award- winning analytics. Personnel are instantly alerted when a suspicious activity is detected, so security respond immediately and deter crime. The cameras’ on-board storage each store up to two months of HD video and intelligently control the storage resolution based on what they detect. This requires minimal bandwidth and network upgrades — saving time, energy and money. The solution also included VideoIQ ViewTM advanced video management software at no extra cost. Since the initial deployment, the district has deployed over 30 cameras throughout its campuses.